Each year the Academy of Nutrition and Dietetics hosts the Food and Nutrition Conference and Exposition. This year marked the Academy’s 100th birthday, so the celebration in our home town of Chicago was extra special. I was thrilled to be there with a record-breaking 13,000 Registered Dietitian Nutritionist (RDN) peers and more than 390 exhibitors and 130 education sessions, as well as cooking demos and opportunities to network and learn. Working at SPINS gives me a unique perspective to trendspot at FNCE. Our team of food and nutrition experts’ attendance at so many trade shows gives us a broad frame of reference for forecasting trends before they hit the mainstream. I found lots of exciting new items at FNCE and look forward to seeing how they fare in the future at retail. For now, I’ve narrowed my list to seven items exemplifying innovation with key ingredients and attributes to watch in the marketplace. This bread not only tastes fantastic – even untoasted and plain, as I had it at FNCE because the exhibitors couldn’t keep up with the demand of all the hungry RDs – but also has a great sustainability story. Alvarado Street Bakery has teamed up with the Coffee Flour™ company to use discarded coffee cherries, the fruit that surrounds the coffee bean, thus preventing the cherries from going to waste. This new revenue stream also helps create jobs for farmers and families in coffee-growing regions. The company also boasts that, gram per gram, coffee flour has more fiber than other healthy standards like whole grain wheat flour, more iron than spinach, more antioxidants than pomegranates, more protein than kale, and more potassium than bananas. The bread’s ingredient list features nutritious goodies like sprouted organic whole wheat berries, organic whole-wheat flour, and organic oat bran, plus organic seeds and agave syrup. It also has 2g of fiber per slice. SPINS has reported on the growing trend of sportification of non-athletes as Americans turn to liquid protein, meal replacements, protein powders, and performance bars to meet their protein needs. In my opinion, the PowerBar company has continued to innovate and evolve to meet changing consumer demand. One example of this is its Clean Whey bar with no artificial sweeteners, colors, or flavors. But two other PowerBar products caught my eye at FNCE. First up was the new Plant Protein bar, which marries the plant-based trend with clean-label attributes in a deliciously portable snack bar with 10g of protein. The other option was the Jerky & Nut bars in three different flavors: Teriyaki, Original, and Barbecue. Each bar has 10g of protein and is made with 100% American beef. I think these savory bars are a great alternative to the sweeter varieties that seem to dominate the marketplace. Move over, kale. Moringa is the new superfood to watch. This versatile, plant-based powder can be incorporated into smoothies, shakes, sweet and savory dishes, or sauces, soups, and stews to add a nutritious boost. According to Kuli Kuli’s website, each 10g serving is a good source of calcium and an excellent source of vitamin A and iron. Plus, it is gluten-free, dairy-free, soy-free, and certified B Corp, Non-GMO Project Verified, and USDA Organic. If you don’t have time to make your own smoothies, Kuli Kuli also has energy shots that are rich in vitamins A, C, and E and provide the same amount of caffeine as a cup of coffee. ONA Treats is an established brand serving up delicious grain-free energy bars, cookies, and snacks with clean-label attributes. This company is also collaborating with the non-profit Pollinator Partnership to help promote and protect pollinators and their ecosystems. I tried two great ONA products at FNCE. The first was the Functional Fuel Ancient Energy Protein Bar with 11g of plant protein, adaptogens, maca, L-theanine, and probiotics. The second product, Bizzy Bee, is a promising new line of school-safe snack bars that is free of the “Big 8” allergens. With plant-based protein from pumpkin and sunflower seed butter, sweetness from monk fruit, probiotics, and kid-friendly flavors, these bars show strong potential as tasty, allergy-friendly, grab-and-go snacks that kids can bring to school! According to the National Institute of Diabetes and Digestive and Kidney Diseases, an estimated 10-15% of the U.S. population is affected by Irritable Bowel Syndrome (IBS), so it is no surprise that low-FODMAP diets (i.e., fermentable oligosaccharides, disaccharides, monosaccharides, and polyols, which cause gastrointestinal distress in some people, such as those with IBS) are a growing trend. Additionally, a low-FODMAP diet may be helpful for people with celiac disease or non-celiac gluten sensitivity. While digestive health has been a trend for several years at FNCE, this year there was a definite presence of foods specifically marketed for FODMAP diets. There is also a new FODMAP Friendly certification on the market that can help impacted consumers identify appropriate food choices. 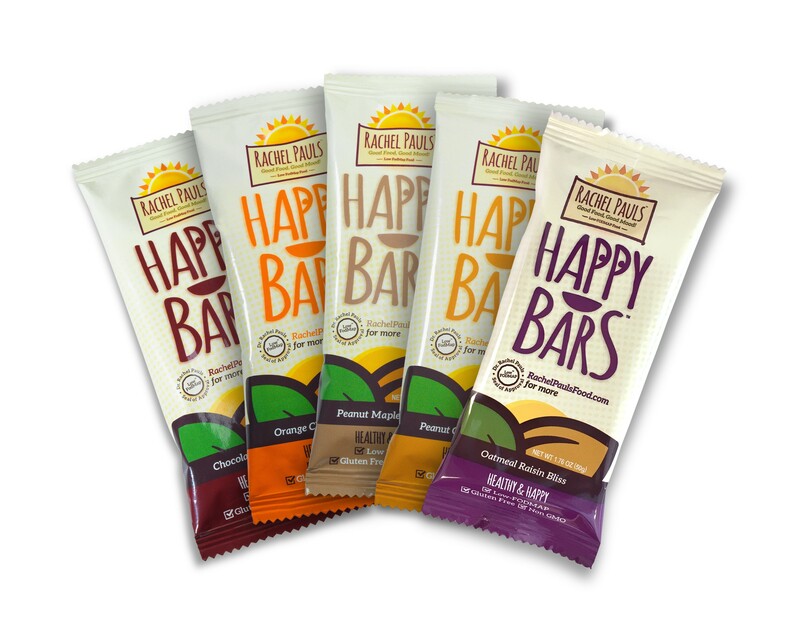 One noteworthy low-FODMAP product at the conference was Happy Bars from Rachel Pauls. Happy Bars come in six great flavors that are certified gluten-free and labeled non-GMO. Each bar has 8-10g of protein and 3g of fiber. Jerky has been exploding all over the marketplace with over $1.4B in sales and 3.9% growth in the last year. CocoBurg product marries the protein- and plant-based trends with a vegan alternative in three flavors that will feel familiar to traditional-jerky fans: Original, Chili Lime, and Ginger Teriyaki. According to the product website, the jerkies are Paleo, non-GMO, gluten-free, soy-free, and preservative-free. To uncover more health & wellness trends from SPINS, check out our TrendWatch page, and stay tuned for our 2018 Trend Predictions coming soon! Make sure you never miss an update: sign up to join our mailing list on the bottom of this page! SPINSscan Natural and Specialty Gourmet (proprietary), SPINScan Conventional Multi Outlet (powered by IRI), 52 weeks ending 2017-September-10.